The North American Review (NAR), a literary magazine that has existed for over 200 years, celebrates its 50-year anniversary at the University of Northern Iowa. A conference will be held on Friday through Saturday, April 19 to 21, at several locations on UNI's campus. 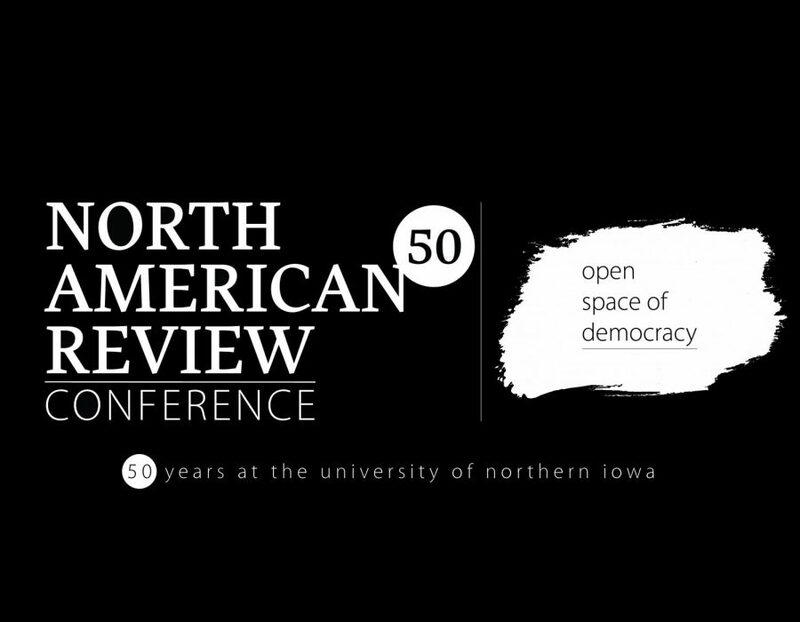 The North American Review (NAR), is preparing for a conference to celebrate 50 years at the University of Northern Iowa. Although the NAR has been around for over 200 years—making it the oldest literary magazine in the country—it has spent only a quarter of that time at UNI. The conference, scheduled Friday through Sunday, April 19 to 21, is being held not only to celebrate this milestone for the NAR at UNI, but also to introduce the redesign of the magazine. In the past, the NAR has been designed to look more like a magazine, unlike most other literary journals that have a more spacious layout with heavier binding. The new look will be unveiled during the conference’s opening session on Friday from 3:30 to 5:00 p.m. in the Commons Ballroom. During this session, the public will also get its first look at a previously unpublished poem from Allen Ginsberg. The poem will be featured in the next issue of the NAR. According to Schraffenberger, Ginsberg was one of the most influential poets of the 20th century, so it presents a unique opportunity to be able to publish a newly discovered poem, written by Ginsberg himself. The original handwritten manuscript was penned in red ballpoint ink, so it will be published in facsimile, which, as Schraffenberger explained, is when the image of the page itself is published alongside a transcribed copy of the original text. Gary Kelley, a visual artist who attended UNI, did a portrait of Ginsberg that will be printed on the backside of the poem itself. This poem will also be kept in Rod Library’s Special Collections. This year, the keynote speaker will be author and activist Terry Tempest Williams, who will be delivering her address on Friday at 7:30 p.m. in Lang Auditorium, followed by a book signing. The NAR partnered with Leopold Lecture series to bring Williams to the conference. The conference’s theme, Open Space of Democracy, was named after Williams’ book by the same name. According to Schraffenberger, it challenges writers and artists to use their works to promote justice. Besides Williams, other featured writers include Adrianne Finlay, Taylor Brorby, Martín Espada, Kij Johnson, Joyelle McSweeney, Joseph Scapellato, Lauren Marie Schmidt and Sophfronia Scott. Brorby and Caspada have are contributing editors for the North American Review. On Saturday and Sunday of the conference, there will be literary readings, panels and workshops on topics related to every genre of writing. Several UNI faculty members will be moderating panel discussions and leading workshops of their own. Although the NAR selected these nine featured writers, they also put out a call for submissions from writers, teachers, and artists from across the country. 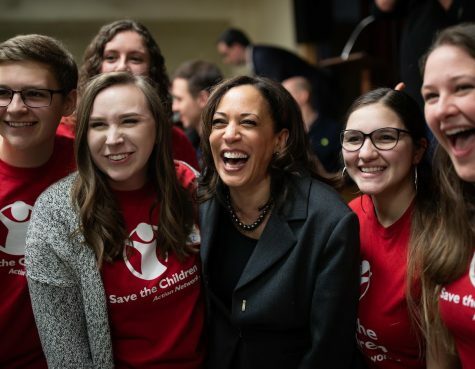 Hundreds of these people will be discussing their work on Sunday. The detailed schedule for all these events is available on the conference website at nar-conference.uni.edu. The website also contains a place for attendees to register. All of the conference sessions are free and open to the public due to support from UNI’s Office of the Provost, the Department of Languages & Literatures, College of Humanities, Arts and Sciences and Humanities Iowa. Morgan hopes that the conference will be an eye-opening experience for even local people who may not have been aware of the NAR and its historical significance. The magazine has published local and well-known authors alike, including John Steinbeck, Flannery O’Connor, Ralph Waldo Emerson and Harriet Beecher Stowe.